Catherine (Bartosevich) Levash, 92, of Allentown, passed away Saturday, June 23, 2018. She was the loving wife of the late Bernard P. Levash. Born in Hazleton, she was the daughter of the late Joseph and Blanche Bartosevich. Catherine was a member of SS Peter and Paul Polish Catholic Church. Catherine was especially fond of cooking and baking, especially at the holidays, and shared many special Polish recipes with her family and friends. For many years, Catherine was a top-notch secretary, and even had the opportunity to travel from her hometown in the summer months as she helped in other offices; she was a highly valued member of the Penn State office team. She also enjoyed the music of her Polish heritage and dancing, crocheting, swimming, gardening, and playing cards. Catherine is survived by her son, Robert Levash, and his wife, Marilyn, of Poughkeepsie, NY; her daughter, JoAnne Harpin, and her husband, Don, of Lancaster, PA; by her four grandchildren: Wendy (Levash) Bordeau and her husband Topher of Quechee, VT; Robert C. Levash and his wife Jaime of Milton, MA; Jordan (Yukenavitch) Pfeifer and her husband Patrick of Shorewood, IL, and Michael Yukenavitch and his wife Michelle of Lancaster, PA, along with seven great grandchildren and several nephews and nieces, including Stanley Bartosevich, and great niece, Helen Bartosevich, both of Whitehall, PA. Catherine looked forward to Stanley and Helen’s frequent visits, which brought comfort to not only her, but also to her far away family. Catherine was predeceased by her granddaughter, Lynn Levash, as well as all her siblings (three brothers and three sisters). A viewing will be held on Friday, June 29, 2018 from 11:15 am to 12 noon, with a service to follow at 12 pm, located in the Kohut Funeral Home, Inc. at 950 N. Front St., Allentown, PA 18102. Burial to follow in Resurrection Cemetery, Allentown. Catherine’s family would like to thank the nursing staff and the entire team at the Phoebe Nursing Home, particularly the members of the Trexler Wing on the First and Third Floors. The Trexler Way’s staff provided exemplary care, utmost respect, and sincere compassion to Catherine and her entire family throughout the time she was able to spend there with them. 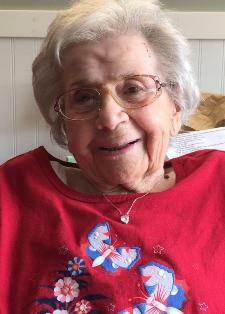 In lieu of flowers, donations can be made in Catherine’s memory to Phoebe Nursing Home: online at https://phoebe.org/giving-volunteer/donate-now/; by calling (610) 794-5132; or by check payable to "Phoebe-Devitt Homes" and sent to Phoebe Ministries, Marketing and Institutional Advancement, 1925 Turner St., Allentown, PA 18104. Cynthia “Cindy” M. (Gori) Leashefski, 71, of Breinigsville, passed away January 22, 2018. She was the loving wife of the late Edward C. Leashefski. Born in Bethlehem she was the daughter of the late Joseph and Stephanie (Kotash) Gori. She is survived by her son Roger Gerhard of Allentown, daughter Stephanie Soden and her husband Scott of Breinigsville, 6 grandchildren, 3 great grandchildren, sister Constance Kita of Bethlehem Twp, brothers Robert Gori of Hellertown and Edward Gori and his wife Celia of Bethlehem. She was predeceased by her son Ricky and brothers Joseph and Richard Gori. Services will be Private for the family care of Kohut Funeral Home. 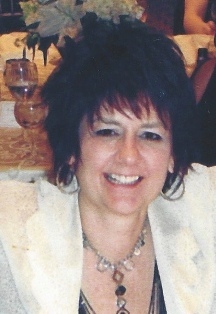 Jayne Lipovsky, 51, of Allentown, passed away December 24, 2017. She was the daughter of Patricia Lipovsky and the late Bernard Lipovsky. She attended Bloomsburg University and graduated from Cedar Crest College with her degree in Accounting. Jayne worked for Settlement USA Inc. in Allentown. Survivors: son- Christian; mother- Patricia Lipovsky; sisters- Jill Lipovsky Smith wife of Michael Smith, Jaclyn Rosenberger wife of Herb Leiby; many Aunts, Uncles and Cousins. 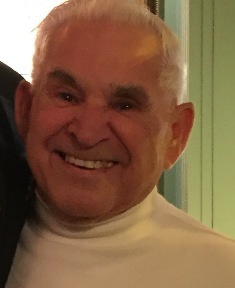 A viewing will be held Friday, Dec 29th 8-10AM in Kohut Funeral Home, Inc. 950 N. Front St. Allentown, PA 18102. Mass of Christian Burial to follow at 10:30AM in St. John the Baptist Slovak Catholic Church 924 N. Front St. Allentown, PA 18102. Burial to follow in Resurrection Cemetery, Wescosville. In lieu of flowers, contributions can be made to Christian’s Education Fund care of the funeral home. Rose M. (Artim) Longo, 90, of Allentown, passed away September 12, 2017. She was the wife of the late Leo J. Longo. Born in Allentown, she was the daughter of the late Michael and Eva (Krill) Artim. Rose retired as a Supervisor, after 35 years of service, for Western Electric. She was a former member of St. Stephens Catholic Church. Survivors: Daughters- Antoinette and husband Wayne Stofko of Bethlehem, Leora and husband Joseph Gaither of Allentown, LeAnn and husband Joseph Garofalo of Jupiter, FL; 8 Grandchildren; 9 Great Grandchildren; Companion of 22 years- Julius Kovacs of Allentown. 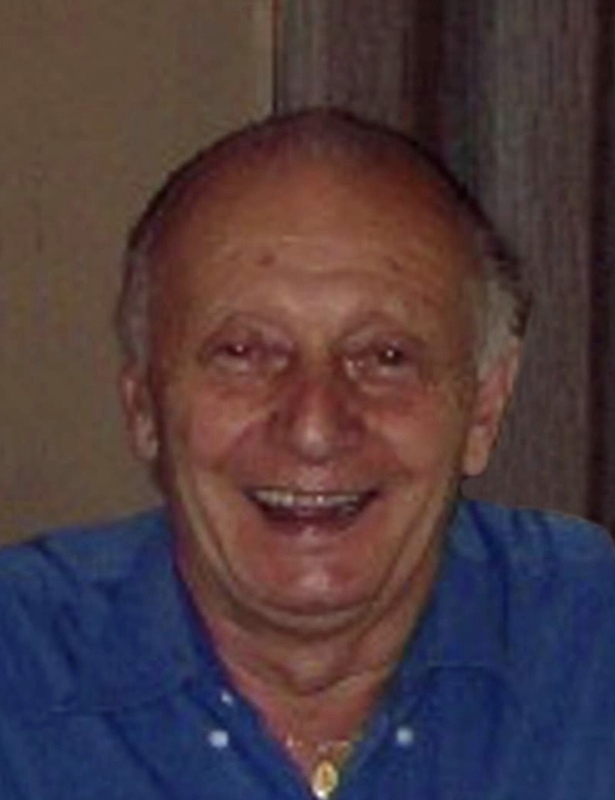 A viewing will be held Saturday, Sept. 16th 9-10AM in Kohut Funeral Home, Inc. 950 N. Front St. Allentown, PA 18102. Mass of Christian Burial will be celebrated Saturday at 10:30AM in St. John the Baptist Slovak Catholic Church 924 N. Front St. Allentown, PA 18102. Burial to follow in Laurel Cemetery. Contributions can be made in Rose’s memory to the Alzheimer’s Association 399 Market St Suite 102 Philadelphia, PA 19106. Bernadine M. (Yatsko) Lobb, 68, of Whitehall, passed away on July 4, 2017 in Fellowship Manor Whitehall, Pa. She was the beloved wife of the late David R. Lobb. Bernadine was born in Philadelphia, PA. Bernadine was the loving daughter of Francis J. Yatsko and Mary P. (Hresan) Yatsko. She graduated from Central Catholic High School. She worked at various places in the Lehigh Valley. She was a member of St. Elizabeth Catholic Church. Survivors: daughters- Shawneen Miller wife of Joseph of Whitehall and Amber Lobb of Whitehall; sisters- Maryann Lake of Whitehall and Elizabeth Weisel of Nazareth; grandchildren- Skyler, Joseph, Hazlyn, Elise. She was predeceased by her sister Francine Yatsko. Services will be Private care of Kohut Funeral Home, Inc.
Elsie M. Luckenbach, born Oct. 30, 1945, passed away June 2, 2017 at 71 years old. She was the wife of Terry F. Luckenbach. Born in Jersey City, NJ she was the daughter of the late Louis T. Cowley and Joan (Felce) Cowley. Elsie had lived in Allentown, East Allen Twp and Nazareth. She graduated from Dieruff High School and the Allentown School of Cosmetology. Elsie worked as a hair dresser for Hess’s Dept Store and Mary Jane Compardo Beauty Salon. She then worked for Sunoco Mini-Mart in Bath and Walmart. 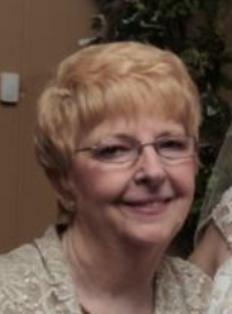 Elsie was a member of Sacred Heart Catholic Church in Bath. She loved animals and cruising. Survivors: husband-Terry Luckenbach; sister- Dorothy Bersoh (Joe Hacker); nieces & nephews- Heather Bauer (Joe Bauer), Sean Berosh (Rachel Berosh), Eric Berosh (Kathy Berosh) and many other nieces and nephews; companion, life partner and caregiver for 30 years- Alan Brace of Nazareth and her two beloved Old English Sheepdogs, Logan and Phoenix. She was predeceased by her parents- Louis T. Cowley and Joan M. Cowley, sister- Pat Cowley, and nephew- Christopher Lee Berosh. Mass of Christian Burial will be celebrated on Thursday, June 15th at 10:30Am in Sacred Heart Catholic Church 210 E. Northampton St. Bath, PA 18014. Burial to follow in Woodlawn Memorial Park. Arrangements care of Kohut Funeral Home, Inc. Contributions can be made in Elsie’s memory to Animals in Distress P.O. Box 609 5075 Limeport Pike Coopersburg, PA 18036.